On October 14, I wrote about the outrageous amount of money donated by the Oil & Gas Industry (O&G) to defeat Proposition 112. This $33 million as reported in mid-October has been heavily spent on TV and radio ads. The claims of these ads center on the number of jobs and the amount of tax dollars that would be lost by the State of Colorado if Proposition 112 were to pass. 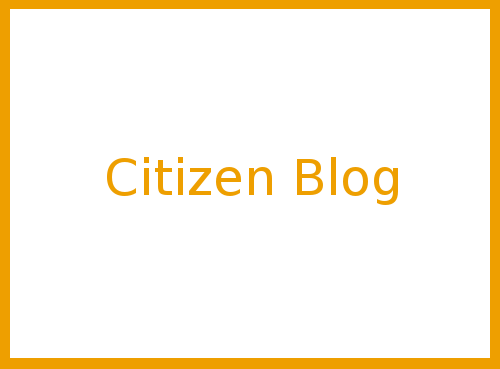 In a segment of the October 25 broadcast of Colorado Matters on Colorado Public Radio (CPR), the effects of Proposition 112 on jobs and taxes were tackled head-on by Grace Hood in response to questions from listeners. There are 3 important facts exposed by Grace Hood. 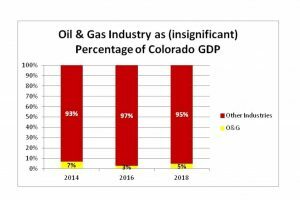 First, the contribution of O&G to the GDP of Colorado is not as significant as what the industry would have people believe. At its peak (2014 boom), O&G was 7% of the overall state GDP. On average over the course of 3 bi-annual readings, the industry is about 5% of the Colorado GDP. On average, over a span of 10 years, industries such as Real Estate, IT Services, Manufacturing and Healthcare have individually contributed more to the Colorado economy than Oil & Gas. Second, about 30,000 Colorado jobs are directly employed in O&G, according to the U.S. Bureau of Economic Analysis. That is only 1% of the Colorado workforce. While it is true the Bureau report does not include the support industries, the prospect of losing 140,000 as advertised by the industry is at best an unsubstantiated estimate. Third, from 2012 to 2017, the State of Colorado received annual severance tax from the O&G industry that ranged between $4M to $265M. Though any revenue is welcome, again, the peak of $265M is less than 1% of the annual State Budget. The report is fair to point out the loss of local tax revenue will be more acutely felt in Weld County due to its overreliance on only one industry – Oil & Gas. Despite what the Oil & Gas Industry would have us believe, the economy of Colorado has diversified. Unlike the 80s, the contribution of the Oil & Gas industry to Colorado is no longer significant.